A coffee table has many uses in your home or office. It can be practical or it can be styled as the centerpiece to enhance a room. This article is about styling your coffee table. It contains fabulous ideas which you can combine or take inspiration. Let us know your favorite styling tips in the comments. My recommendation is to start simply. Begin with one item, it can be practical or a piece of art, it all depends on the use and style of the room. If the room is a formal living room, then a small sculpture or pottery may be appropriate. In a practical well-used room you may find a decorative multiple purpose bowl is the answer. A good starting point in most cases is the use of a tray. It’s the foundation of design more a contemporary coffee table. You can display knick-knack or it can be a useful decluttering spot for the TV remotes. A tray can serve as a showcase for your favorite small items, while making them easily removable in case you need to clear the surface of the table for entertaining. Maybe you want to go big so consider are larger piece of art, small light/lamp or colorful coral, a large pile of books as a focal point to your coffee table and room. When you add more items to your coffee table, keep balance in mind. A large collection of small knick-knacks can easily make for a quick mess. On the other hand, a display of a few large items can look heavy and cumbersome. A good tips is to vary the scale of the items you display and stack or group like objects together. Use your tray as a center point and employ books and candles for colors and scents which can easily be swapped out after each season. 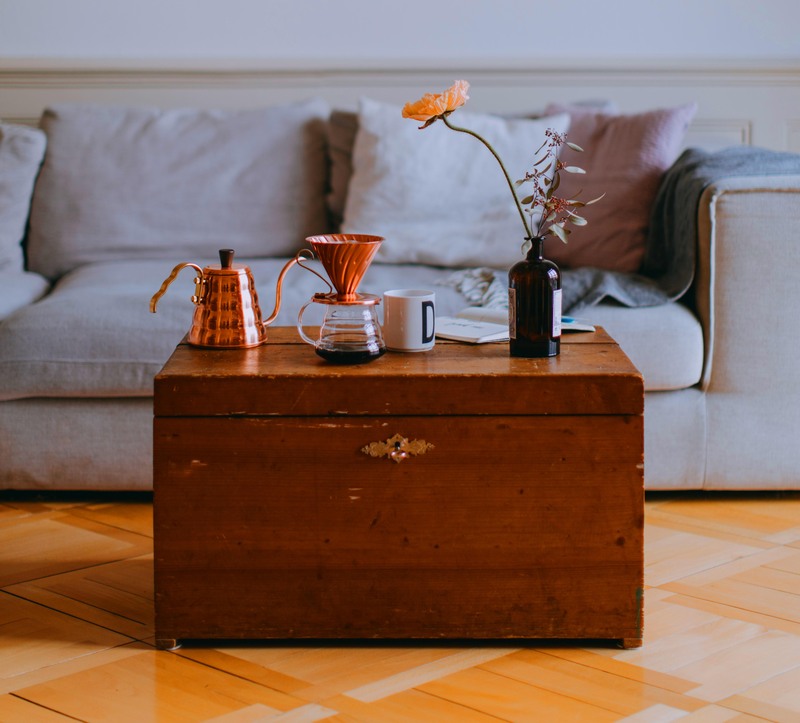 If you are not sure where to begin and the task of designing your coffee table seems a little intimidating, tape off sections to form a grid and place objects within the squares. This can help compartmentalize your styling and remember you don’t need to place something in every square. Three is a good number, especially when styling a coffee table, with limited room. Divide your tabletop into three sections and place item of various sizes to balance the look. Make It Better, Color Pops. A way to add a little life your new or old coffee table it to add pops of color. Maybe your favorite color or a color which accents the walls or furniture. Consider laying painted wood planks on the bottom of a frame to create a bonus shelf. Try using gold, brass or silver to your decorations. They have a way of immediately elevating any space, yet metallics will not overpower the room. Consider nature or natural looking elements to your design. For example, you can add succulents to give your coffee table a peaceful vibe. There is nothing wrong with rotating items through the seasons. For example, nothing says spring is here like a vase of beautiful tulips. In the summer, place some shells, and in the fall add a gourd or two. Think about your guests! Give guests a way to break the ice and connect with they set near the coffee table. Try placing playful items, such as an interesting board game. When you select coffee table items, consider how they will look from multiple angles. Picture frames, for example, only offer one good angle and are better suited for a bookcase. 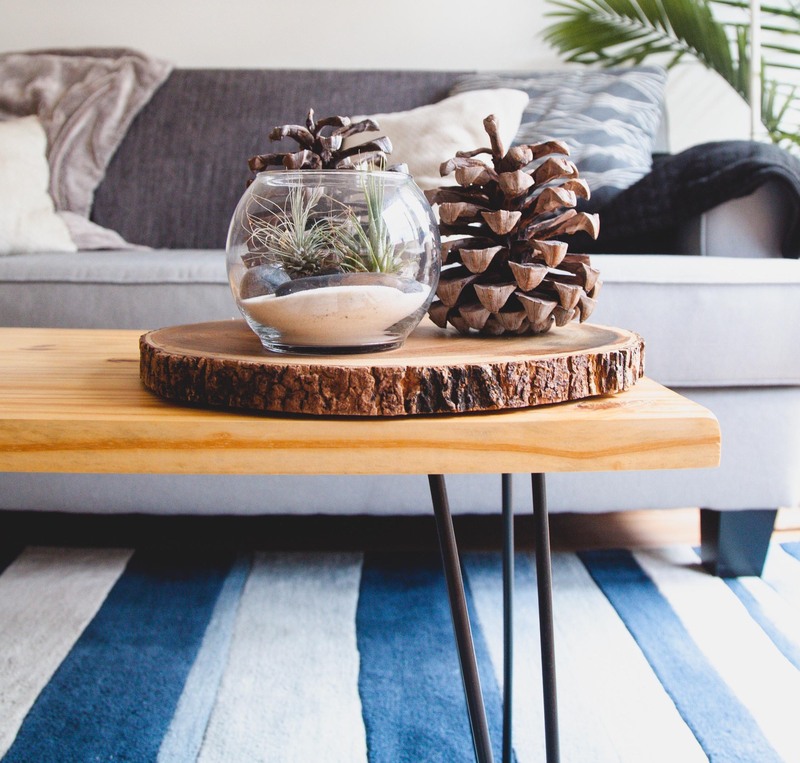 Choose decor which plays off the color of your coffee table. If the table is white or a neutral, many professional designers suggest you go with bold colors on top. For black or dark woods, consider metallic and crisp white tabletop items. A well-styled coffee table doesn’t always mean highly-styled. Simple, practical and modern are a few options to consider. Your table is what you want it to be. It’s your home or office. I hope you found the tips in this post helpful. If you have questions, I look forward to reading your comments. Coffee tables can really make a room, what is your favorite style?